In December, Qatar caused a kerfuffle in oil markets by announcing its withdrawal from OPEC, effective January 2019. Although the move was ostensibly to focus on its more lucrative natural gas sector and its emerging chemical processing industry, observers also saw its withdrawal as a belated reaction to the longstanding trade and diplomatic embargo organised against it by Saudi Arabia from June 2017. 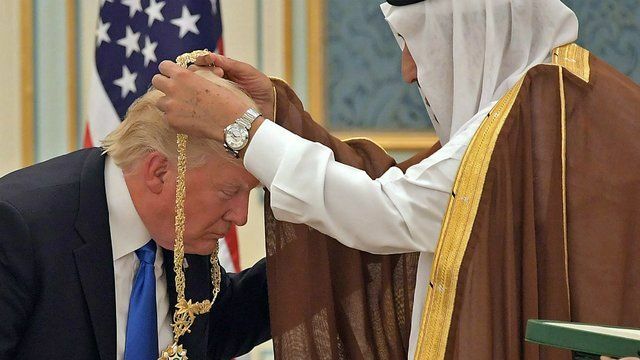 The blockade was endorsed by US President Donald Trump, who conducted business with Saudi interests before taking office. The president’s embrace of Saudi Arabia’s crown prince Mohammed bin Salman, known as MBS, has been viewed as a prompt for some of the prince’s more controversial gambles for regional influence, notably the escalation of the war in Yemen. Support for the prince in Washington is not uniform, however. On 12 December, the Senate advanced a measure to withhold US support for the Saudi campaign in Yemen. The Senate concurrently issued a rebuke of MBS in response to the murder of Jamal Khashoggi, a Saudi government critic and dual US-Saudi citizen who worked for the Washington Post. Senator Lindsey Graham, a Trump ally, called for the removal of the crown prince and the imposition of new sanctions on the kingdom during the next Congress, which takes office in January 2019. These measures depart from recent US foreign policy, which has traditionally supported Saudi Arabia in its rivalry with Iran for local dominance. Developments over the last few weeks show that neither Trump nor MBS can depend on longstanding relationships to shield them from criticism that their policies are fomenting instability in the Middle East. This may be more troubling for them than the predictable concerns raised by human rights organisations. When strategic partners change their positions, the secondary effects extend beyond an unwanted stack of petitions.